Ali Eid at Al Ain (Twitter/@alainfcae_en). 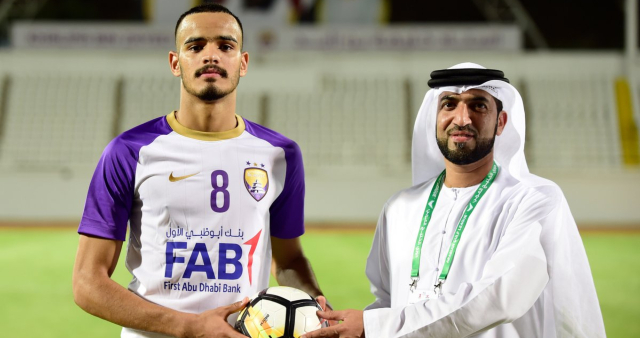 Highly rated Al Ain and UAE Under-23 striker Ali Eid cannot wait to embrace the “extraordinary opportunity” afforded by a season-long loan to the fabled breeding grounds of Croatia’s Dinamo Zagreb. Eid, 20, on Saturday joined an exclusive club of Emiratis who have inked temporary contracts with European outfits. Al Wahda and UAE centre-back Hamdan Al Kamali failed to make a first-team appearance for France giants Lyon in 2012, while younger brother Hamid became the first of his countrymen to play in the UEFA Champions League’s preliminaries while at Malta’s Valetta in 2014/15. The 20-goal recipient of the 2017/18 Arabian Gulf Reserve League’s Silver Shoe Award will hope to make a greater impact at his new team, whom 14 of Croatia’s 22-man squad for Sunday’s World Cup 2018 final – including Real Madrid superstar Luka Modric – are either presently or previously employed. 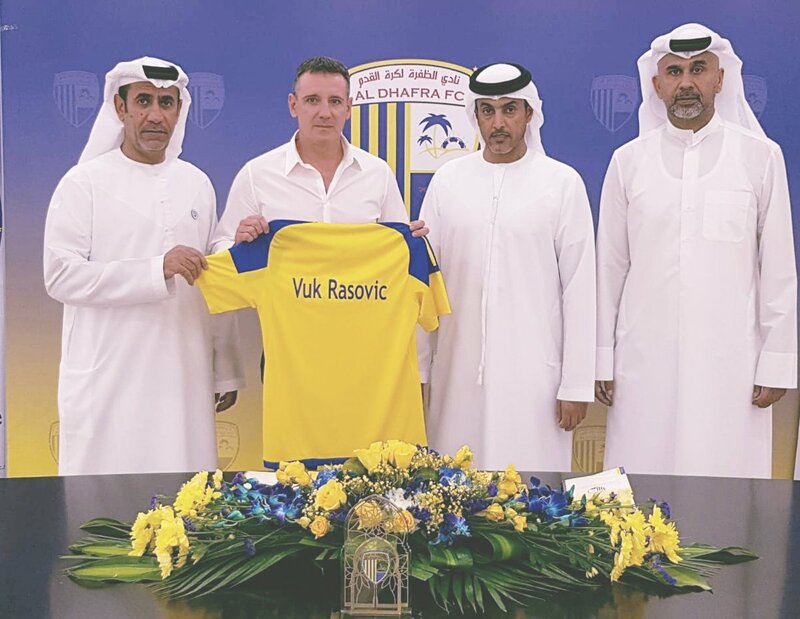 “I will ensure not to miss this extraordinary opportunity and push myself to the limit to achieve my boundless ambitions,” said Eid, who is heading towards the side that current Boss coach Zoran Mamic successfully led from 2013-16. Eid did not appear for last term’s double winners in either the Arabian Gulf League or President’s Cup. His only taste of top-flight action to date is a four-minute cameo in January 2017’s 3-2 win at Hatta. Then Bani Yas and UAE midfielder Amer Abdulrahman had an unsuccessful trial at the Championship’s Blackburn Rovers in 2013. Al Ain superstar Omar Abdulrahman was unable to acquire a work permit in the immediate aftermath of the London 2012 Olympics, after impressing at Premier League heavyweights Manchester City. This latest move has echoes of neighbours Saudi Arabia’s decision to send nine players to Spain in January, prior to the ongoing World Cup. Croatian media reported that Eid has signed a contract that states he is obliged to play for Dinamo’s reserves, if he does not meet criteria for a first-team spot. Mamic and Dinamo are mired in legal problems. The 46-year-old was one of four men handed jail sentences in June – appeals are planned – because of their involvement in multi-million-euro abuse of power and graft related to the club. They have won 12 out of the last 13 Croatian First Football League titles, including 2017/18’s return to first place. Success in the top flight has gained Dinamo access to the second qualifying round of the 2018/19 Champions League. FC Nordsjalland winger Ernest Asante has become the first signing of Marcel Keizer’s reign at Al Jazira on a two-year contract. Asante, 29, caught the eye at Right to Dream Park since he was snapped up from Norway’s Stabaek in August 2016. His trophyless two seasons in Denmark’s Superliga produced 21 goals and 13 assists across 66 appearances. The uncapped Ghanaian will immediately take the place of influential Morocco centre midfielder Mbark Bousoufa in the four-player foreign quota, after the parties failed to agree a contract renewal. No official announcement has been made yet by ex-Ajax boss Keizer about the futures of Brazilian forward Romarinho, compatriot Leonardo – who spent last term on loan at Saudi Professional League-outfit Al Nassr – or Oman internationals Mohammed Al Musalami and Harib Al Saadi. 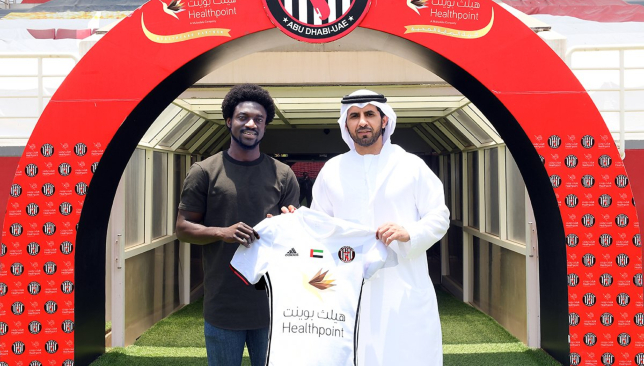 “Al Jazira completed the signing of the Ghanaian winger Ernest Asante, and he will join the first football team of Al Jazira as soon as the preparations for the upcoming seasons starts,” read a club statement on Wednesday afternoon. The Pride of Abu Dhabi are recasting themselves after 2017/18’s Arabian Gulf League title defence ended in a seventh-placed finish. Revolutionary coach Henk ten Cate retired after he narrowly missed out on a historic quarter-final berth in the 2018 AFC Champions League. Compatriot Keizer was drafted in last month. He’d previously been sacked by Ajax in December 2017.